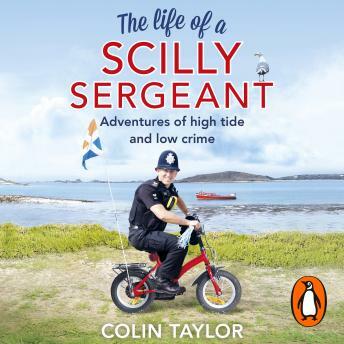 Random House presents the audiobook edition of The Life of a Scilly Sergeant by Colin Taylor, read by Kris Dyer. Meet Sergeant Colin Taylor, he has been a valuable member of the police force for over twenty years, five of which have been spent policing the 'quiet' Isles of Scilly, a group of islands off the southwestern tip of the Cornish peninsula. Colin has made it his purpose to keep the streets of Scilly free anchor thieves, goldfish abductors and other culprits, some drunken, intent on breaking the law. This book is the first hand account of how he did it. Coupled with his increasingly popular 'Isle of Scilly Police Force' Facebook page, this book charts the day to day trials and tribulations of a small-island police officer, told in a perfectly humorous and affectionate way. This book is a fantastic read.